Whether your reason for travel is business or pleasure, once you experience the beauty and service of Villa Acacia Beach Resort you will want to return time and again. Villa Acacia Hotel is located on the northwestern pacific coast of Costa Rica, next to beautiful Playa Hermosa and just one block from the beach. 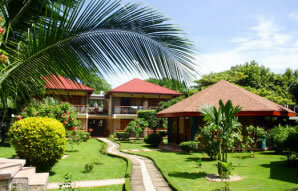 The resort is a convenient 30 minutes from Liberia International Airport. 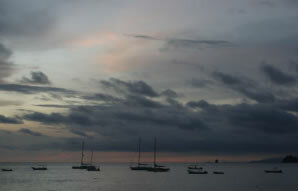 There are 8 very private and exclusive Villas that can accomodate up to four persons. These villas have a unique octagonal design that include ceilings made of precious woods and all come with fully equiped kitchens. 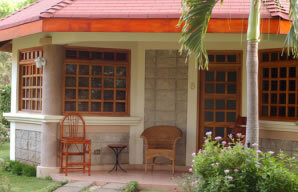 In addition, there are eight standard rooms with verandas and garden views. 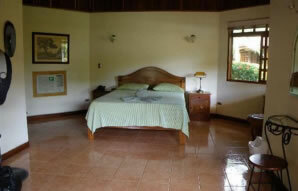 The furnishings are all hand made by Costa Rican artisans. All rooms have ample closet space, confortable beds, a dining area, complete shower and tiled bathroom, satellite TV, and air conditioning. There are also fully equiped apartments, with separate bedrooms each with individual bathroom (hot water), air conditioning and satellite TV, large enough for groups or families up to nine persons.